I was just watching an interview with Nike Flyknit Lunar 2 designer, Sean McDowell, when out of nowhere I hear wifey appear in the room and say "you aren't getting those". Hmmm...sounds like a challenge? As you know - I'm a pretty big fan of the Nike Flyknit Lunar which resulted in me having 1 pair to run in and one pair to rock - and the pair that is using for running is just about expired (I've put over 500 miles on those puppies to date), and with all of the technological advances (locked down lace, flywire, 9 oz) in the Flyknit Lunar 2 - sorry B, it's gotta be done. Check out the official specs after the jump, and purchase here. 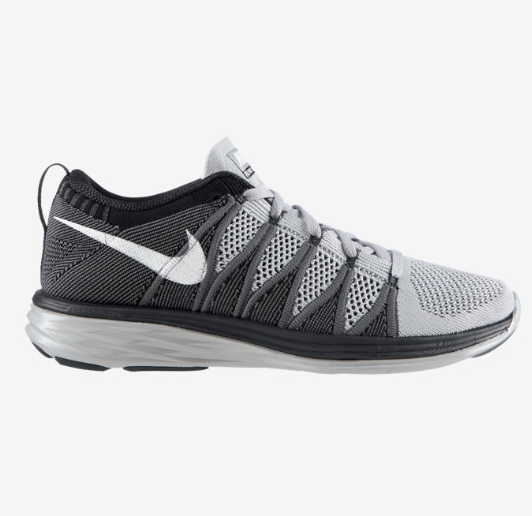 Nike Flyknit technology was inspired by feedback from runners seeking a shoe with an ultralight, second skin-like fit. Nike embarked on a four-year mission with teams of programmers, engineers and designers to create the technology needed to make the knit upper with static properties for structure and durability. Then the precise placement of support, flexibility and breathability-all in one layer-was refined, resulting in a featherweight and virtually seamless upper.